Finally finished with this Tyrannosaurus. Now I can draw something else. Like a robot, or a pegicorn. Maybe another dinosaur, or keep with the powerlifting theme and do a Viking or a generic barbarian related thing. 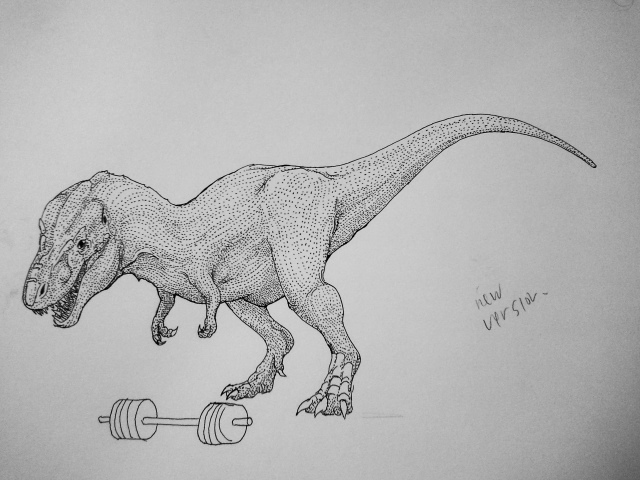 This entry was posted in Quick Desksketch and tagged deadlift, deadlifting, Dinosaur, Tyrannosaurus by Anthony. Bookmark the permalink.